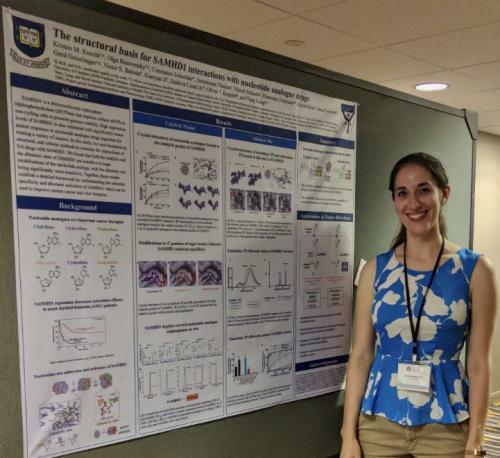 By Meaghan Sullivan: This past July, Kirsten Knecht was one of 9 out of over 500 presenters selected for a poster prize at the 2018 Protein Society meeting in Boston, Massachusetts. She presented her work, titled “The structural basis for SAMHD1 interactions with nucleotide analogue drugs”. Congratulations to Kirsten!